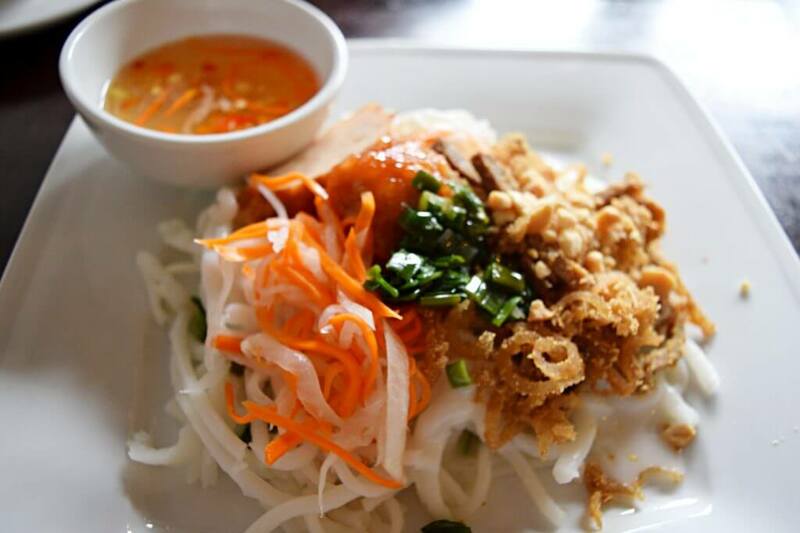 One of the main reasons I was drawn to Vietnam in the first place was it’s cuisine. I had done so much research on what to eat and where to eat it. I couldn’t wait to sample the delights from Hanoi to Ho Chi Minh. We went from the street food in Hanoi to the soup in Hue, from the grilled meats and noodles of Hoi An to the seafood in Mui Ne. We had goat in Tam Coc and unbelievable rice porridge in Ninh Binh. I didn’t think it could get any better. Then we arrived in Saigon (or Ho Chi Minh City, depending on who you’re talking to). There was food everywhere, at every time of day. Stalls seemed to pop up on every street corner, there were little windows stuffed between hotels and a convenience stores selling all matter of delicious things. The smells lured me constantly and I found myself spending almost every waking moment in this city eating. 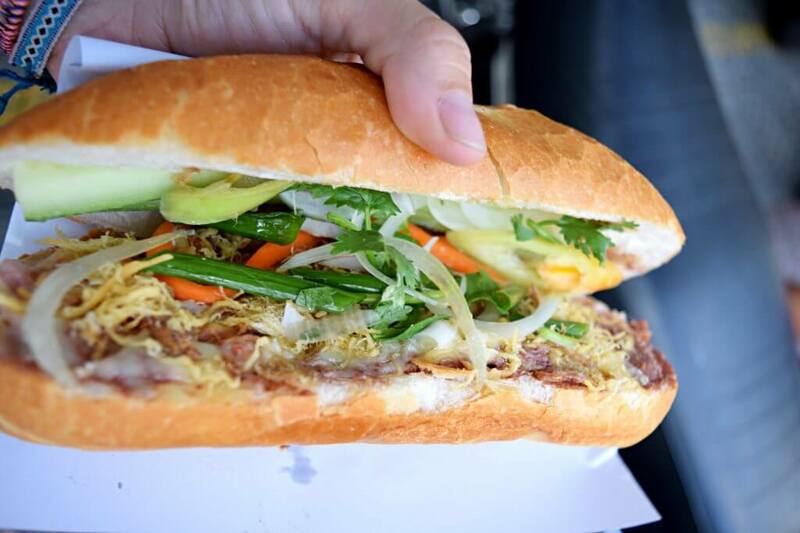 We ate these baguette style sandwiches all over the country, but the meat packed bread rolls we had in Saigon were so full of flavor. You’ll find them at street vendors and in pop up restaurants. They’re most popular for lunch and in the late afternoon – a perfect snack to keep you going between meals. Just remember, “spicy” is no joke. 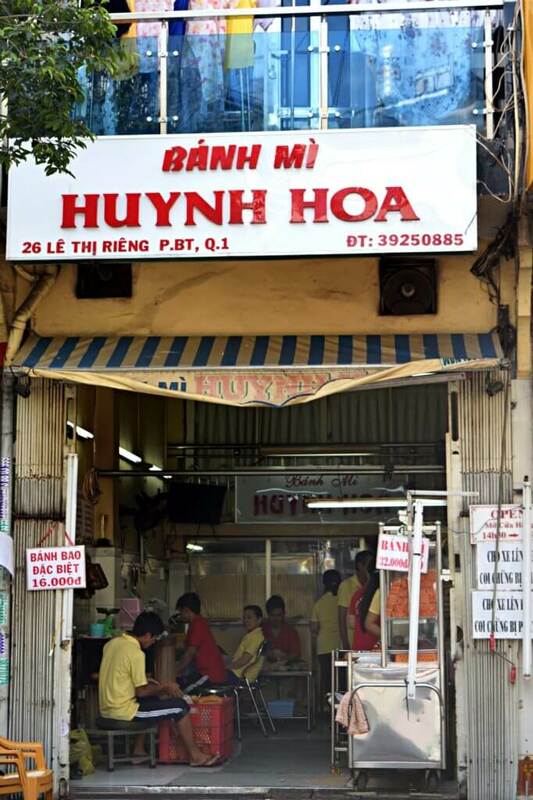 Where to Have it: Banh Mi Huynh Hoa – 26 Le Thi Reng, District 1, Ho Chi Minh City (beware, they don’t open until 2pm). This noodle dish is one I will always remember. It’s perhaps one of the best things I ate in the entire country, which is a pretty big claim in such a foodie’s paradise. The noodles are made of tapioca, and then tossed in coconut milk. They’re then topped with a few different types of pork – usually fried skin and grilled slices. The dish I had also had some shaved carrot and onion on the top. It was creamy and rich and flavorful. It was utter perfection. Although originally a soup from Hue, it’s been adapted slightly here in Saigon. The soup I had in Hue was thicker and darker than the one I had (over and over again) in Saigon. The taste, the quality of the meat, the varying textures, all come together to make an incredibly flavorful bowl of soup. 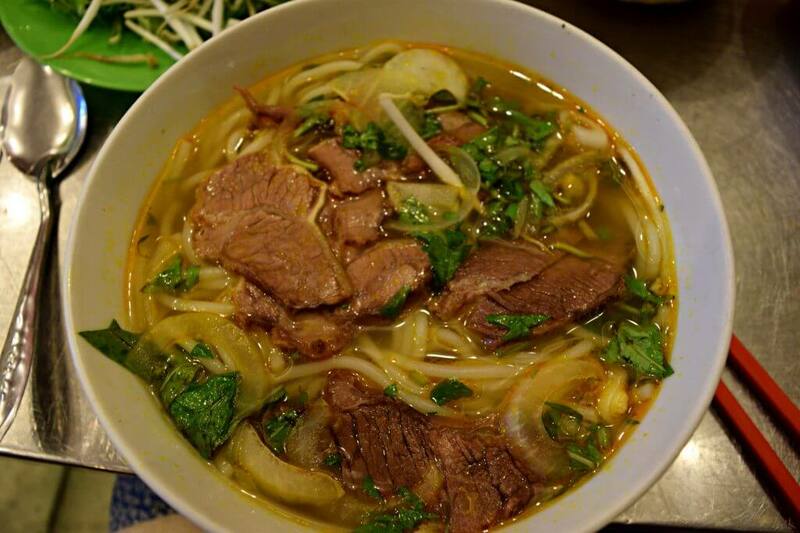 It’s a beef style broth usually with thin, vermicelli style noodles. There are thin slices of beef on top and it’s always served with a big bowl of fresh herbs. One of my favorite things about soups of all kinds in Vietnam is how you can cater the flavors to your own taste. There are always cups of chili on the table to add spice, fish sauce to add a salty kick, and sugar to sweeten it up. 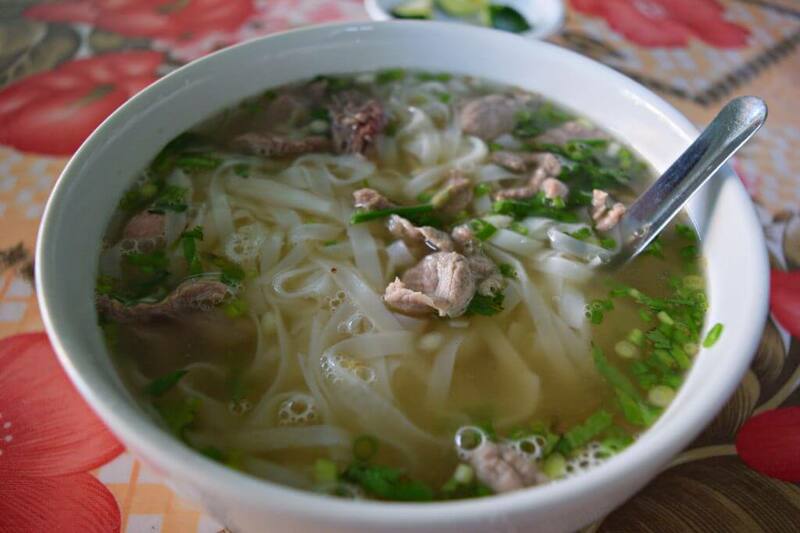 You didn’t think I’d make a list about foods to have in Vietnam and not talk about Pho, did you? It’s a staple in Vietnam, in any city you visit. The nice thing is that it’s also different everywhere you go, especially between the North and the South. The pho I had in Saigon was packed with flavor and served in huge piping hot bowls. It’s a base to add whatever you choose, of which there are many choices. Go for chicken (ga) or beef (bo), then add some lime, mint, basil and chili. Or add nothing and enjoy the meaty broth and noodles as they are. 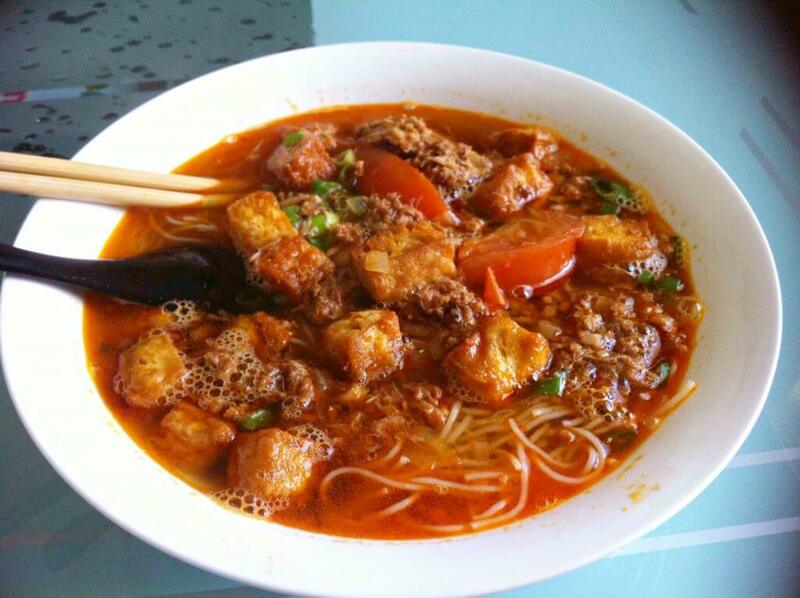 Bun Rieu is a crab soup with a tomato based broth. It’s packed with flavor, it’s spicy, it’s rich, it’s filling and comforting. I only had it once during my time in the city, and I kick myself constantly for not going back and having it 10 more times. It’s certainly not for the picky eater – there’s a blood cube, a fishy flavored broth and a gelatinous fish cake usually floating around in there, but if you like seafood and strong flavors, you’ll love this. Those are the best meals I had in Saigon, although I can’t say that I had a bad one. You can take all these restaurants with you on your trip to HCMC by checking out my Saigon Excursion Plan. Plan your own adventures on www.excursion-app.com! This post is sponsored by Excursion, but all love for Vietnamese food is my own. It was! Vietnamese food is up there as one of my favorites for sure!